Usually when there’s a pop culture moment taking off online (e.g. breaking news of college admissions scandals, “Old Town Road” remixes trending, or Times Up-ing the next male Hollywood exec), I’m typically at work sitting at a desk and having to sneakily thumb my way through all the nonsense on my tiny iPhone SE screen, not letting my coworkers onto the fact that I’m nearly addicted to keeping abreast on such “news.” However, all that secrecy goes out the window when something truly monumental happens. And that is, of course, when a Star Wars trailer drops; and not just any Star Wars trailer, but the trailer to the closing chapter of the Skywalker-centric saga. I went full-screen, volume up (headphones on, because I’m still a polite coworker), and didn’t try to hunker over the screen to hide it. No, when it comes to Star Wars I wear my fandom on my sleeve. And then I watched and savored the next two minutes with bated breath. What can I say? I loved it. I loved what we got, and what we didn’t get. It felt like the perfect amount of tease for a so-called “teaser” trailer. And once that Princess Leia theme kicked in, full body chills and watery eyes ensued. We got just enough glimpses of the characters we care about (although I’m not sure if we see Rose? ), including the one and only Lando Calrissian; that put a smile on my face (Nice to see you, Billy Dee!). As well as the late great Carrie Fisher, which my emotions can’t process just yet, except for wanting to cry like Rey. It appears that we’ll be getting Rey, Finn, and Poe together for a while, and some sort of face off between Rey and Kylo Ren. Even though Kylo killed the love of my life Han Solo, I’m still pulling for him to turn back to the good side just in the nick of time à la Anakin Skywalker. Yet, all that may be ruined when Luke’s voiceover reminds us, “No one’s ever really gone.” Initially we assume he’s talking about himself being a Force Ghost (like the fallen Jedi before him), but by the end of the trailer we get a blackout and only hear maniacal laughing, letting us believe that it’s none other than Emperor Palpatine. Welp, that’s no good. We hear a slight riff of the First Order theme mixed into the final notes of the score, and then we get it folks: the title reveal. The Rise of Skywalker. Cue those chills once again! What does it all mean? Is Luke going to be back in some form in a bigger way? Or is it alluding to the rising of his legacy via a new generation of Jedi, as nodded to in the ending to The Last Jedi? My bets are on the latter, though sometimes it’s just as fun to under-analyze and simply see what happens come December. Either way, I’m ready…and also not ready whatsoever for this incredible saga to come to an end. Sure, season in and season out SYTYCD needs to present fresh ideas. Props and concepts can run the risk of being gimmicky, but a simple idea or storyline executed in the right way can do wonders. Dance with a social message, especially something you haven’t seen done before, can be breathtaking when you have the care and respect that choreographer Travis Wall and contestant Darius bring to this piece. When is the last time you can say you saw representation like this on broadcast TV? The personalities of this group number shine through, and the result is a highly infectious hip-hop number. There are many moving contemporary pieces every week of the show, but then you get something like this group number that is simply joyful. Props to choreographer Mia Michaels for sneaking some Vivaldi into primetime television. From krumping and contemporary to African jazz and Broadway, the dance styles are as diverse as the dancers dancing them. I suppose that’s the other thing—while the contestants all have dance as their common interest, they come from such different backgrounds and life experiences. Luckily for the viewers, this is reflected in what we see on stage, bringing a welcome display of unique perspectives for all of us to enjoy and learn from. Alden Ehrenreich was great and exceeded my expectations in what is essentially an impossible ask and a thankless position to be in. Beautifully shot and thoroughly impressed by the cinematography (kudos, Bradford Young!). Loved Chewbacca’s entrance and the Wookiee appearances. Hard not to like Woody Harrelson in this (or in anything, really). Wish there was more of Thandie Newton, what a shame to not get more of the Val character. L3 (aka Phoebe Waller-Bridge) is a scene-stealer. Pleased with the message of the droid liberation. Donald Glover is clearly having a blast here (and he made me have a blast too). Not sure I was completely jiving with Paul Bettany’s character, Drydon Vos, as it felt a bit too cliché and I was not about that silky blouse he had on. Speaking of silky things, I did enjoy Lando’s wardrobe and loved how well Emilia Clarke’s Qi’ra pulled off a wide-leg pant. No thank you to that tentacle monster—we did not need this. Did we really need this movie? Only time will tell to see how some of the peripheral developments play out in other movies, but again, did we need to see Han’s origins? Did this serve some bigger purpose other than an entertaining romp? Really liked the moments where we see more of what day-to-day life is like for those in this galaxy and the struggles they face, which is something I think the newer Star Wars films since have done well. For example, seeing the lines at what looked like an immigration/border patrol station and knowing that Han has to enlist in the Imperial Navy to escape gives much more depth to the realities of life in this world. Some have thought it’s too unbelievable that Han would be so romantic and idealist because of his love for Qi’ra, but seeing how that plays out and how he gets burned…maybe this very thing is what blackens his heart a bit and really makes him trust no one (except Chewie, of course). Qi’ra represents an interesting story within this galaxy and one that seemed more worth telling in this film, but perhaps that means we’ll see her again soon. And of course the burning What If of this entire film is wondering what a Phil Lord and Christopher Miller version would have truly looked like, as there were certainly elements of mild goofiness woven in that I could only expect would have been much goofier and included more plays for laughs throughout. Even with what felt like some forced and overtly saccharine set pieces on heroism and rebellion, which I could only assume was more direction from Disney and/or Ron Howard, ultimately I was satisfied and thoroughly entertained by the fun heist film this turned out to be. Can we stop for a moment and discuss Thandie Newton’s Star Wars dress from the Solo premiere at the Cannes Film Festival? At first glance the photographs aren’t super clear, but the word going around is that she wore a custom Vivienne Westwood gown made of a custom print featuring Star Wars figurines. Many questions arise. Obviously she’s in the new film, but is she also a big Star Wars fan? And if that is in fact common knowledge, does that mean I may not be as big of a fan as I think I am? Taking a closer look, you can tell that all of the photographed figurines featured on her dress are of black male characters that we’ve seen in the galaxy (from Finn to Mace Windu). Although this may not have been intentional, it’s a nice callback to the SNL sketch from the Donald Glover –hosted episode just a few weeks ago. But that aside, she’s clearly making a statement here as she is now the first black woman to be featured in a leading role in a Star Wars film. Get it, Thandie. The sparseness in the design of the figurines is a reminder that there’s still more work to be done with representation in this franchise (although I’d like to think that Star Wars has often been ahead of the curve). Another article claims the figurines featured on her dress are from her personal (!) collection—so if this is indeed true, when did she start collecting and how many does she own? Or do you think she may have just started collecting once she was cast in Solo? Either way, it is a stunning dress with layered meanings and it just may be the most badass thing anyone has ever done. 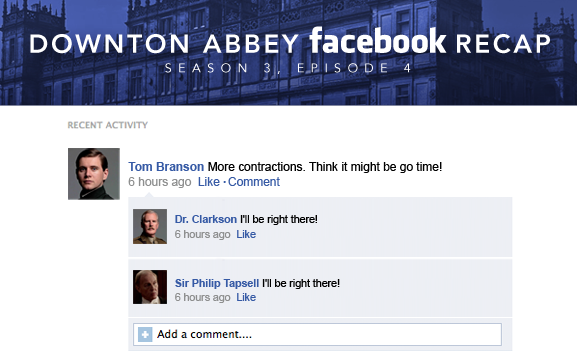 Then there’s Late Night with Jimmy Fallon‘s take on DA with “Downton Sixbey” which is pretty funny. I mostly love Fred Armisen’s cameo (perfect casting!) and the later use of Whoopi Goldberg in a following sketch. In light of the previous post, I will vouch that the best Christmas song is, without question, Wham!’s ‘Last Christmas.’ Heck, maybe even one of the best songs. No other song captures that longing for an old flame to see you better off with someone else, yet at the same time you yearn for them and what you miss. There is something about the way George Michael sings that pulls at my heartstrings. Maybe it helps that I feel like I’ve lived this song (well, I think that helps in making any song that much more relatable and powerful). The song is so bittersweet, which I’ve witnessed as I get older, is a more and more appropriate summation of the holidays. At least when you’re single, anyway. Huzza! -May be one of the best songs, but may be one of the most anticlimactic music videos? -It defines the 80s. The hair. The fashion. Gondolas. Everything about it. -I want to be a guest at that Apres Ski party! Who’s with me? !